Posted by The San Franciscan Roaster Co.
Treeline Coffee has seen some changes over the past few years. 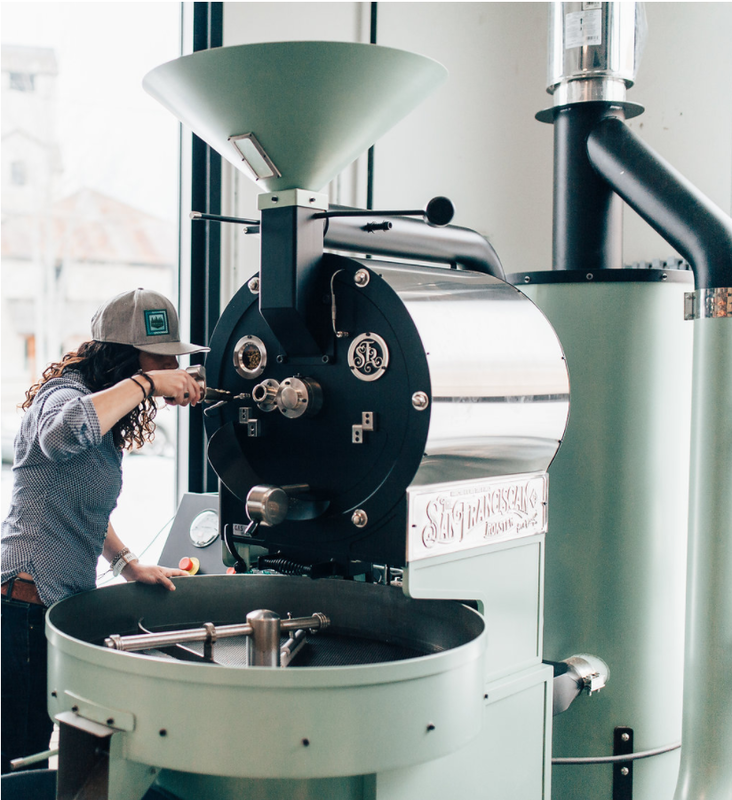 Originally titled Little Red Wagon, co-owner Natalie Van Dusen began roasting on an SF6 out of a converted trailer five years ago. After a change in ownership, Natalie and her business partner, Deejay, decided it was time to rebrand the company, and Treeline was born. Based on the idea that coffee should fuel you to do what you love, Treeline Coffee is inspired by travelers, adventurers, and outdoor enthusiasts. What’s a typical day at Treeline? Oh man, Is there such a thing as typical? In the fall of 2016, we built out our roastery and café which we call the roasting room, and we have our SF-25 right up in front in the middle of everything, and then we have bar in the center of the room. For a typical day, we have a mix of serving our customers - we’re a relatively busy café - but at the same time, we do all of our manufacturing on-site. 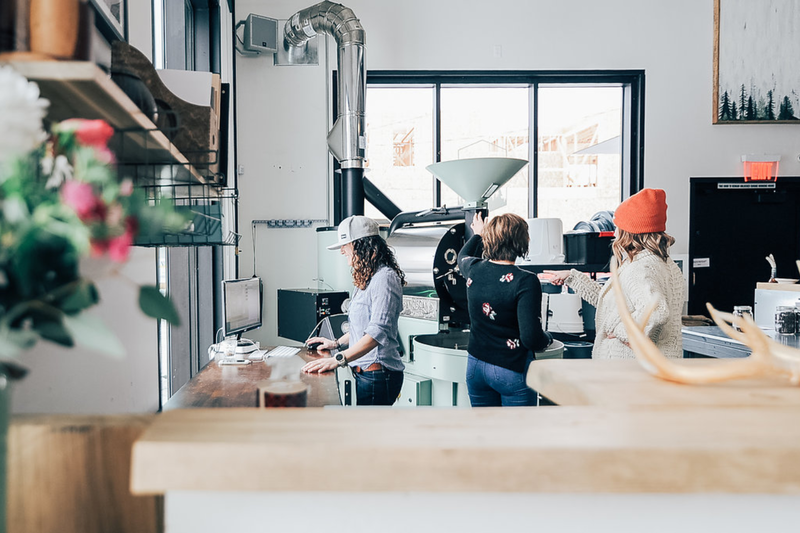 We have myself or Savannah, who’s our other roaster, doing the roasting, and then we have a couple of people who help with packaging, and then we have a full bar staff. 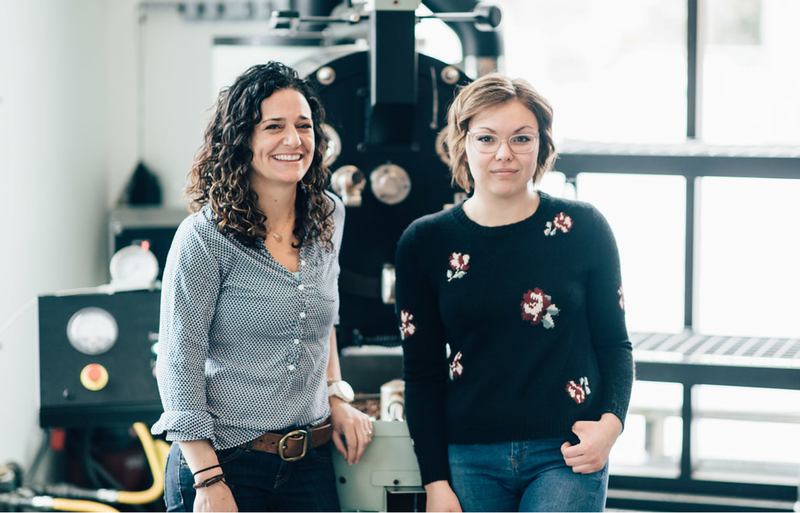 It’s really a mix of a lot of things, and ultimately a lot of coffee conversation, whether it’s our customers talking to us while we’re roasting asking about the coffees or us cupping coffees and debating about them. 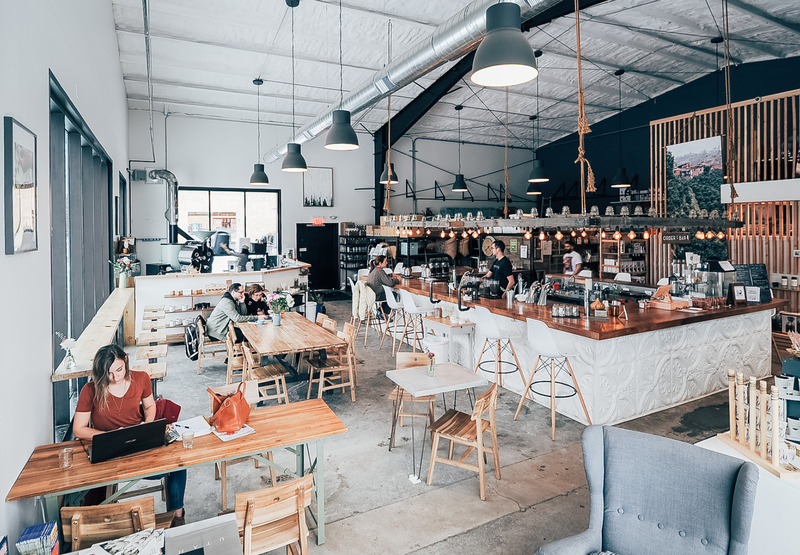 We designed the bar to feel more like a bar or a brewery, we have barstools all around it, so people can sit and chat with baristas while they’re making drinks. So it’s a very community-oriented place to hang out and have a good chat. How did you come up with the name and branding for Treeline? Naming is super hard, and when we first came up with Little Red Wagon, it had all this stuff around it, and it was cute and fun, but ultimately, as we grew as a company, we really felt like we outgrew the identity. We also ran into a trademarking issue around it, so we had a need for a rebrand. It worked out nicely, because we had a need legally, but also because we felt like our persona was shifting and our name needed to come with it. Deejay, my business partner, and I were joking around one day, and this is really weird how we came up with it, but she has this tattoo that’s obnoxious that she got as a teenager, it says like “live, laugh, love” or something. She was like, “I mean, you can buy a pillow with this at Target, I need to cover this up”, and I was like, “I really love the aesthetic at dawn or dusk of the treeline on the horizon, you could tattoo it…”. As I was describing it, we both kind of looked at each other, and we were like, “That could work as a name”, and it became less of a tattoo and more of a name. It totally spoke to the personality of the company and being outdoorsy and the whole thing of trees being at origin and trees being where we live, and the whole aesthetic really spoke to us. We were already using maps for GEO and everything, so it all came together really quickly. 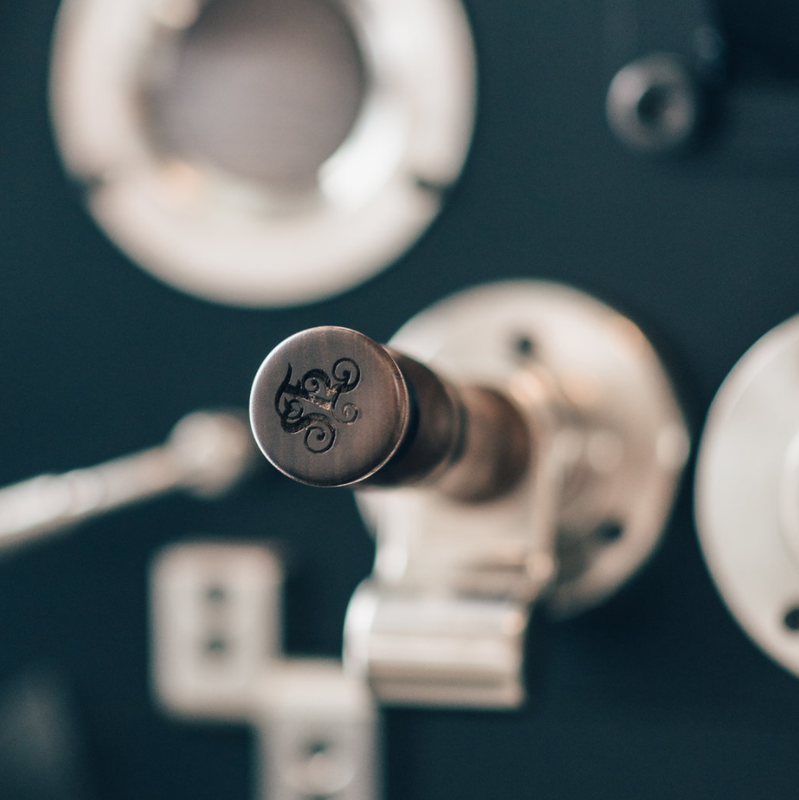 What has been the most rewarding part of owning a coffeehouse and roastery? I think the people. That’s kind of the reason I wanted to get into in the first place, but it’s such a relationship-based business from our coffee growers to our importers to our equipment suppliers to our staff to our customers. There’s just so many people, and it’s such a positive experience to work with all the people that we work with. Everyone has this love for coffee, it’s indescribable. I don’t know any other industry that functions like the coffee industry. People get the coffee bug, and I don’t feel like you hear that [in any other industry] like you do in coffee. It’s just this really special industry, and it’s really rewarding all along the supply chain. What is your favorite coffee that you’re roasting right now? That’s so hard! We roast so many different coffees, and get in coffees from all over the place, we’re always trying to explore new ones. We have this super interesting one from Burundi right now, and it’s just really good. It’s a newer relationship we’re building through JNP, Janine is the woman who started the company, but she’s done a really nice job at building relationships in Burundi with women farmers and women cooperatives. 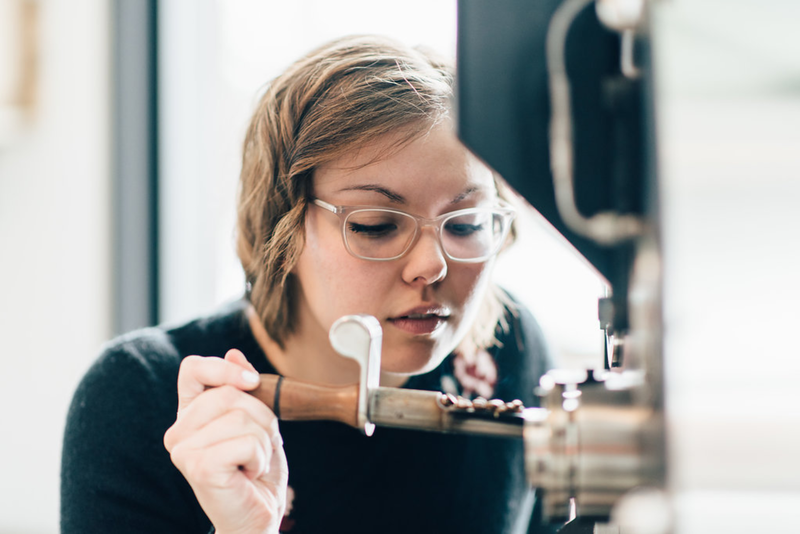 She’s trying to sell all the coffees to female roasters, which I guess there’s just not that much of us. So it’s a really neat story, but the coffee is also really lovely - peachy, juicy, and floral. We also have a coffee that we had last season, it hasn’t come in yet this season, from Nicaragua that’s another relationship coffee with Finca Los Pinos, and we’ve been able to buy washed and natural process coffees from them, which has been super fun. 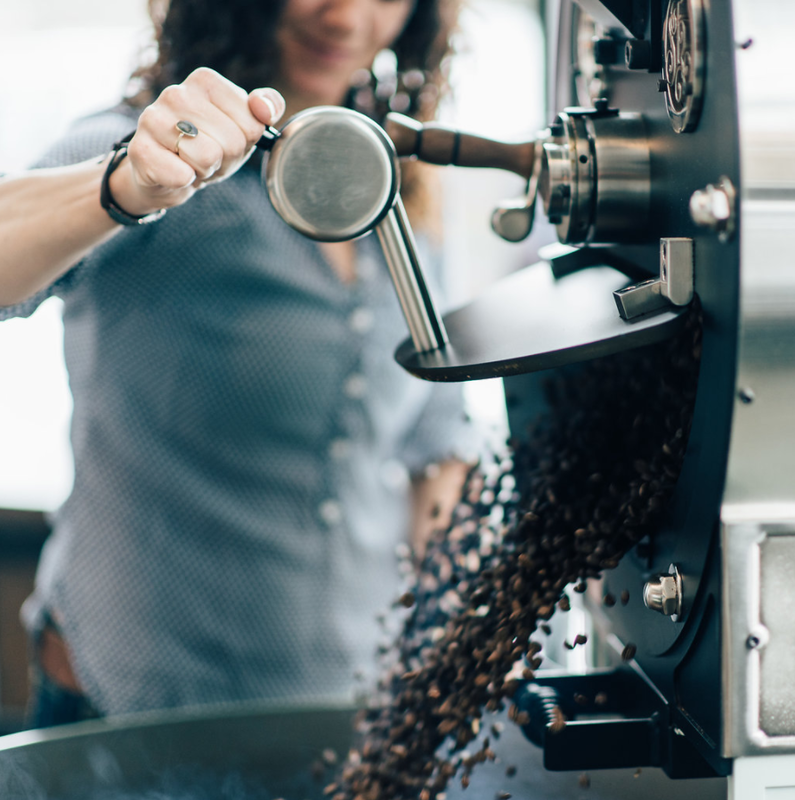 Not only is the coffee delicious, but it’s also been a really fun way to showcase the same coffee in two different processing methods and use that as an educational method for our customers. 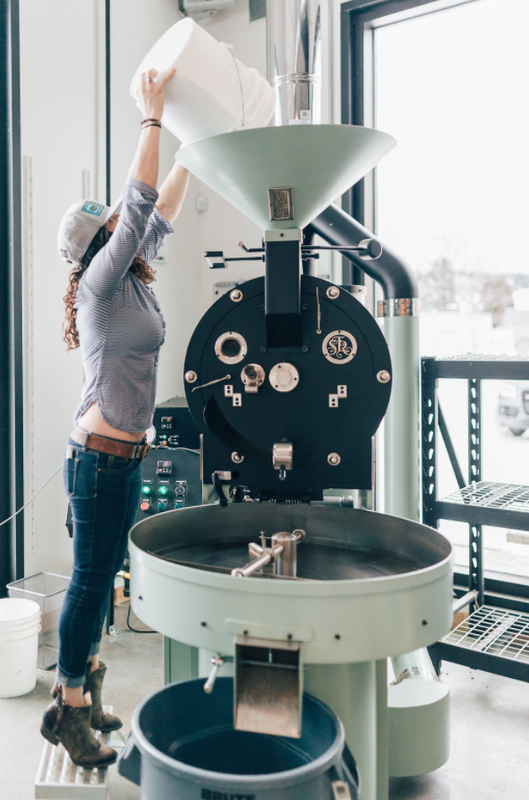 Going back to being a woman in the coffee industry, what has your experience been like? My business partner is a woman. We actually started with another woman who’s a close friend of mine, and then my “sister” moved to town, and our original business partner decided she wanted to work on other things. My sister bought her out, and now it’s the two of us ladies. I don’t think we really tout women-owned. 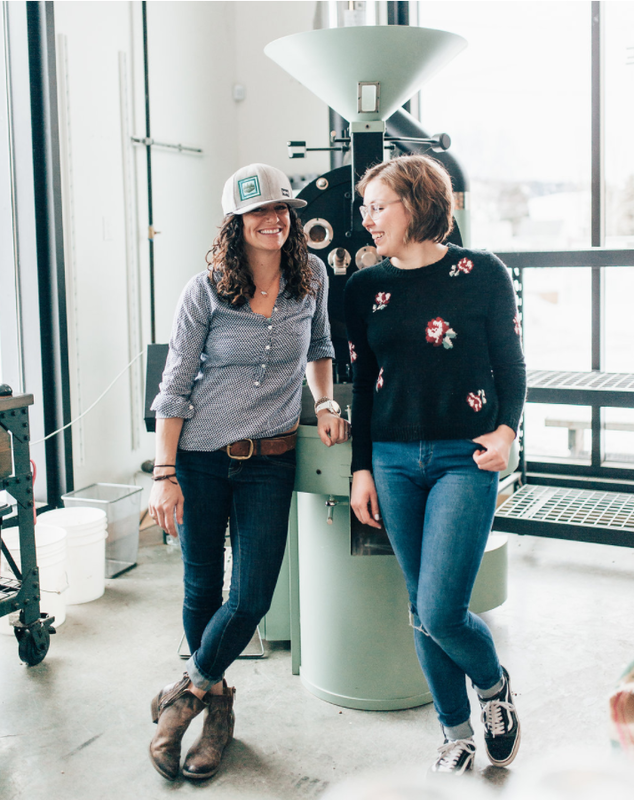 In some ways I take the stance of like, “Yeah, we’re women, we own a business, who cares?” and that should be enough, but at the same time, I feel really strongly about this whole movement of women and women entrepreneurship and farming. I want to do more in the community, and I don’t know how, but I find it a very powerful one. We’re in Montana, and it’s a little more of a male-dominated area, so there have been several occasions. For example, we wanted to go buy nitrogen so we could build a nitro-coffee keg, and I went to the distribution center to get it, and they told me I didn’t need pure nitrogen, I needed CO2 and nitrogen, and I was like, “no I’ve done my homework, I need pure nitrogen, coffee doesn’t like oxygen”. I couldn’t really get them to give it to me, so we let it go. The next summer, we went to go get it, and another male roaster had gone down and got what we wanted, and I told them what I needed, and they were like “oh totally, so and so is doing that”. And I was like, “I literally came here a year ago and you didn’t take me seriously”. It’s little things like that. But for the most part, it’s been awesome. I saw on your website that you have these GEO coffee filters – what was the inspiration behind those? Yeah, so we didn’t invent them or anything, but they’re really popular in Asia in Japan and Taiwan, and someone had introduced them to us really early in our business. I was really hesitant at first, cause it’s pre-ground and sort of goes against what we’re trying to do here, and we dabbled in it for a long time. The thing is that they’re really cool. They’re really wacky and the people who love them love them, and then a lot of people think they’re so weird and don’t understand why it takes a whole 90 seconds to brew their coffee. It’s like, this isn’t instant coffee, that’s actually really fast when brewing a coffee! For the most part, people really like them so we started making them, and they’ve taken off. They’re sort of this side hustle we do, and they keep us pretty busy. They’re great for travel or roadtrips if you don’t want to carry your French press and hand grinder. They stay reasonably fresh cause we seal them right away, and they hold up alright. Natalie and the Treeline team will be pulling shots for SFR at Expo 2018. To try their coffees and learn more about their brand, visit booth #2341 on Friday, April 20 from 2-3 PM. Treeline Coffee is located at 624 N Wallace Ave, Bozeman, MT 59715. For hours and other information, visit their website, Facebook, and Instagram. All images provided by Townsend Collective.